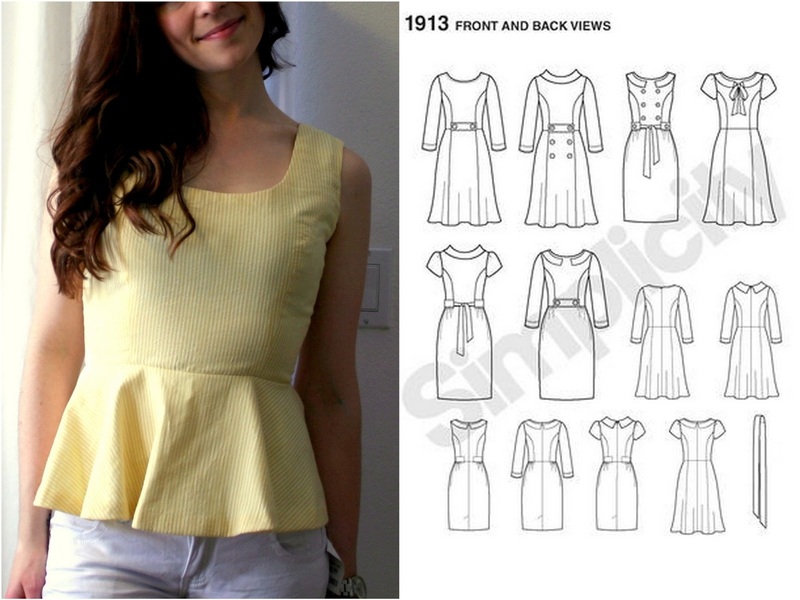 While I'm pretty sure you can find a pattern for a peplum tank these days, I've never used one or needed one. You can easily use any natural waist dress pattern and add a short peplum-length skirt instead of the skirt the pattern calls for! And, dress patterns tend to have a better fit than a tank top or blouse pattern, which are usually even looser and hard to fit. Here's some examples. 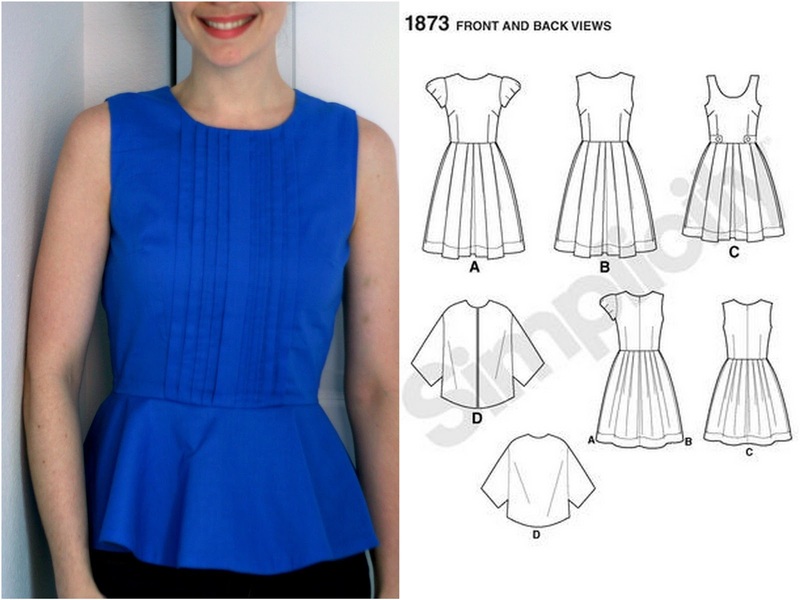 I've used two methods for converting fave dress patterns to top patterns. You don't need a pattern for a circle skirt. There are some great tutorials out there, so check out this or this and cut a 1/2, 3/4, or full circle skirt for your top! The length only needs to be about 8"-10", usually, depending on your height and how long you want the top to be. Circle skirts are kind of a pain to hem, so for mine I've twice done a lining of self-fabric or coordinating fabric and sew right sides together along the long (outer circle edge) side. Then just sew right sides together on the outer fabric to the bodice, and finish your seam allowance inside. Even easier than a circle skirt is a gathered skirt. Seriously snip along the selvage of your fabric about 8"-10", or whatever length you want, and tear across to the other selvage. Now you have a rectangle approx. 10"x45", for standard fabric, and once you sew the selvages together (at least at the hem, maybe leaving an opening at the top for your zipper) you have a wide tube. Then hem the bottom edge and gather the top edge. 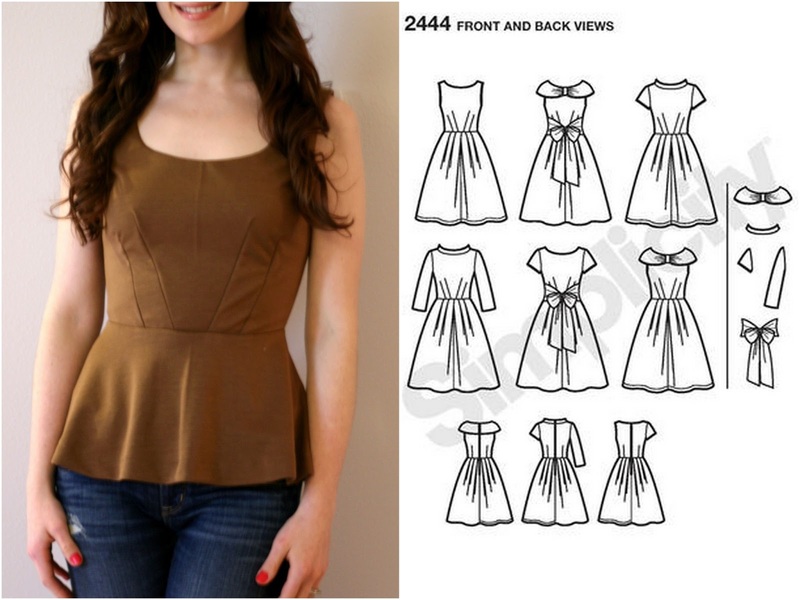 Then sew to your bodice the same way you would anything with a gathered skirt or cuff! And some inspirations for future projects! For these double peplum tops, you'd create two peplum tubes, one shorter than the other, then hem... pin together at the top (raw) edge and gather both as one. Then sew to bodice. 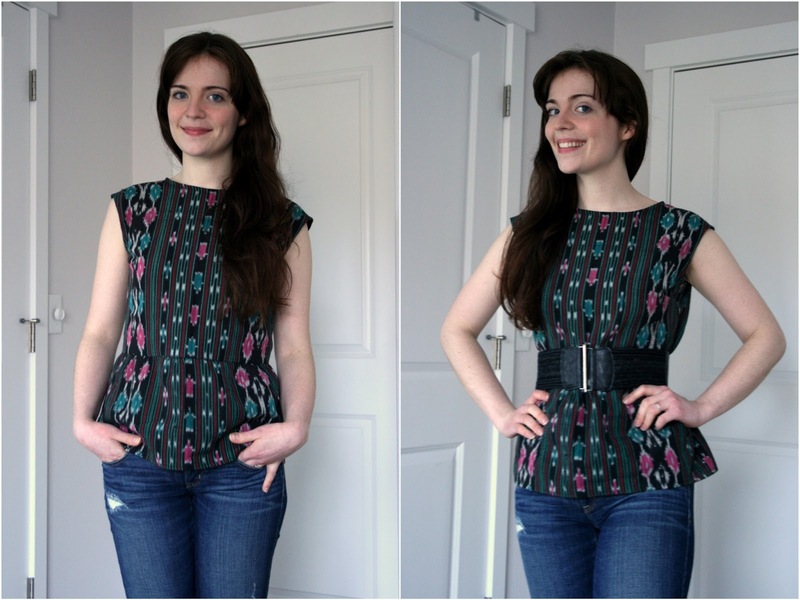 Ready for some springy top-sewing?? Anyone do any great peplum inventions lately?!! I love the pleated top - the color is gorgeous! 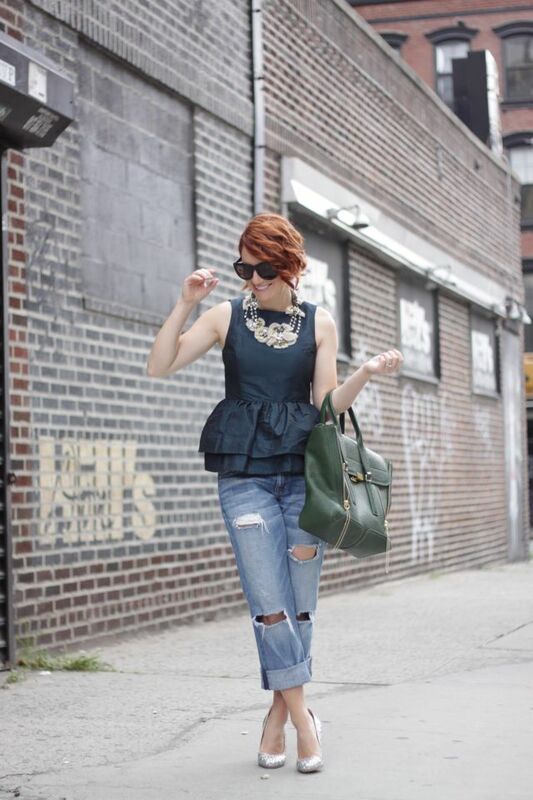 I'm such a peplum lover so this post is very useful. I really love the brown/bronze one! So cute! Super cute! I might try this over the summer!